Google has announced that it will be taking a strong position if your website is NOT mobile friendly, or is a poorly optimised for mobile phones. Google says that smartphone users are a major and fast growing part of internet usage, and Google wants them to have have the best possible experience when using the internet. In order to improve the mobile web, Google have published the most common configuration mistakes, as well as their recommendations. By avoiding these errors, your mobile friendly website helps your smartphone users engage more with your website and very importantly, helps them find what they are looking for faster. Google goes on to say that they will be rolling out “several ranking changes in the near future that address sites that are misconfigured for smartphone users.” In other words, if your website is NOT mobile friendly, it WILL be penalised in the mobile search rankings. Can you afford this to happen to your business? You can find out more about which common mistakes Google sees on smartphone-optimized websites and how to avoid them by clicking here. 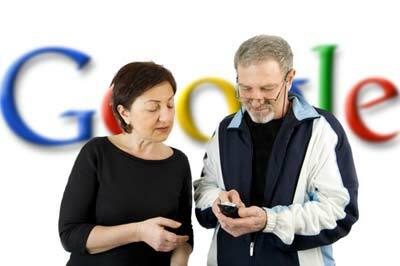 If your website is not mobile friendly, can you afford it to be penalised by Google? As mentioned previously, Google wants your users to have a good experience while visiting your website on their smartphones. They want them to be able to find what they are looking for quickly, without having to “pinch” and “stretch” with their fingers. Do you users have to “pinch” and “stretch” their fingers while viewing your website on a mobile phone? Can they find what they are looking for quickly? If not, then your website is not mobile friendly! In order to stop your business from being penalised by Google, Blue Square Management offers a Mobile Website Design service. Call us on 01689 602 248 today for a free consultation. Mobile Websites: Is Your Business Website Ready For 2013?